Stuart M. Richter is chair of the firm's national Class Action Litigation practice. For more than 30 years, he has defended financial services, consumer products and other clients in class and mass action cases filed in state and federal courts in various jurisdictions across the country. Throughout his career, Stuart has served as lead counsel in more than 100 class and mass action cases. He also handles various complex commercial disputes for banking and financial services clients, including court cases and private arbitrations involving unfair competition claims, fraud claims and foreclosures and other collection proceedings. 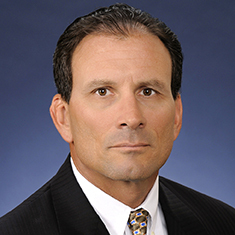 Stuart counsels clients regarding internal and external fraud investigations, and has extensive experience handling disputes involving interest rate swaps and other financial derivative products.